"It's all about the kids!" Mama Rose shares. She's always on the look out for new recipes to field test with her family and then bring to camp for all of us to enjoy! 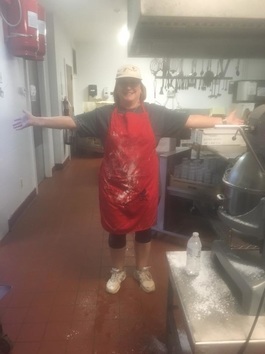 She enjoys providing the campers with choices and little extras to make the dining experience even more special during camp. 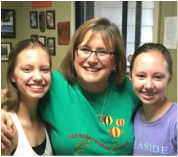 She spends countless hours creating a fantastic menu and then asking OUR SPONSORS to donate items to help keep camp affordable. You are invited to visit the sponsor web pages and Facebook pages and to thank them for their donations and to purchase their great products! 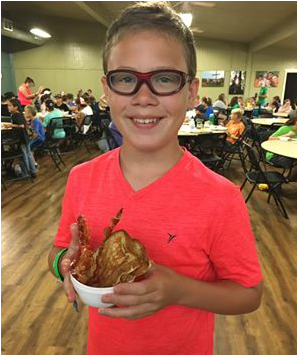 Your camper will enjoy looking through the recipes from the week to make some of their favorites. 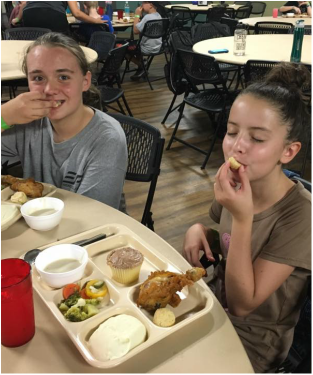 There are so many great meals at GGE, you will want to reflect back on the menu with your camper!